Thanks to Oregon dairy farmers like Bobbi Frost from Harrold’s Dairy, local students have the opportunity to experience a dairy farm and better understand agriculture. 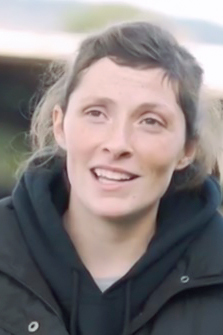 She is featured in a new video for Oregon Aglink’s Adopt a Farmer program. The Adopt a Farmer program is an innovative program connecting sixth, seventh and eighth grade students to the sources of their food and fiber. Started in 2011, the program has grown from 300 students in the first year to more than 5,000 in six years. So far, the program has partnered with 48 Oregon schools, including interaction and experiences both in the classroom and on the farm. “When they have a chance to get out and actually go to a dairy farm and see the cows and see the whole process, I think it makes it more real for them and they have an appreciation,” said Mindy Hayner, a parent from Coburg Community Charter School who is featured in the video. Various other Oregon dairy farms have been included in the Adopt a Farmer program in recent years. In addition to Harrold’s Dairy, this year’s farms included Cloud Cap Farms, Mayfield Dairy and Veeman’s Dairy. Bobbi Frost is a strong supporter of the program and encourages other farmers to get involved.